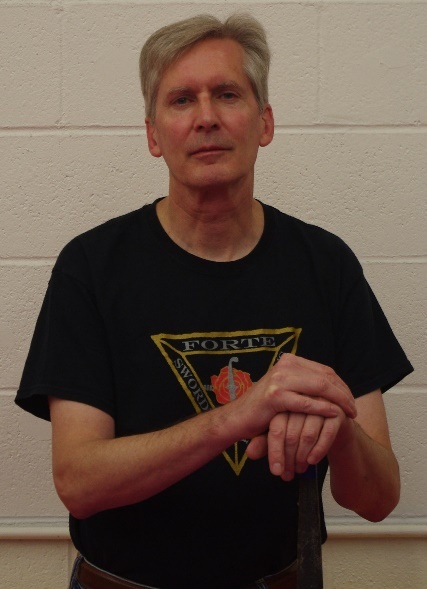 Don Kindsvatter began his HEMA practice over ten years ago at the Higgins Armory Museum where he was an active member of the Higgins Sword Guild and regularly performed demonstrations for museum guests with longsword and other weapons. He has been a member of Forte Swordplay for the past six years and has worked with John O’Connor on interpreting techniques from various sources. Don is also the scribe for the Cambridge Historical European Martial Arts Study Group which interprets medieval combat manuscripts. They have recently completed a translation of the Jörg Wilhalm Hutter manuscript and are currently working through Florius de Arte Luctandi.